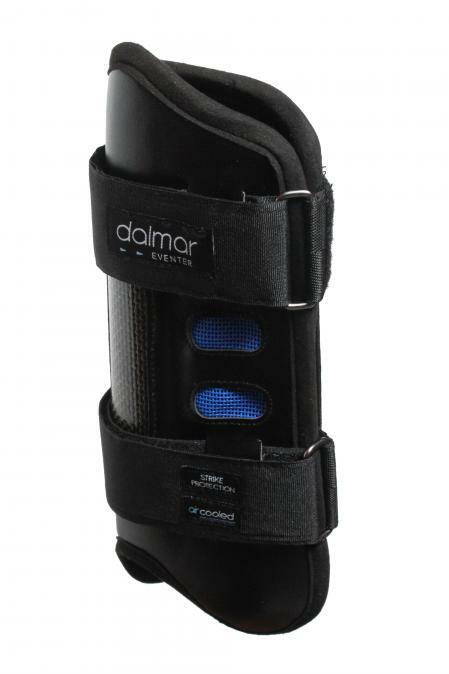 Dalmar eventing boots - Carbon fibre is used in these hind Eventer boots by Dalmar providing superior injury prevention from accidental impacts. The patented Aircooling system prevents overheating, a common problem with most boots. New 2012 design, see below for more details. 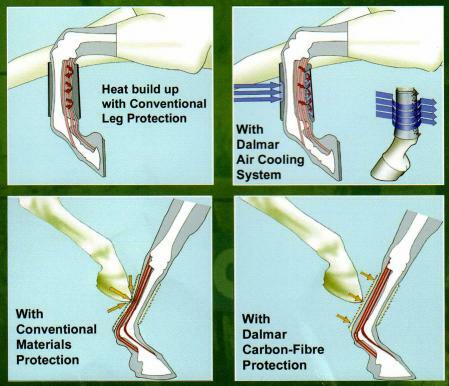 Conventional boots and bandages insulate the horses' tendons and prevent heat escaping. 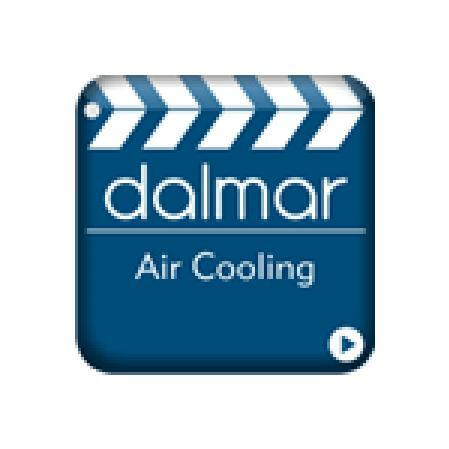 The Dalmar patented cooling system utilises the high speed cold air hitting the front of the horses' leg to pass through the boot and to cool the tendons while the horse gallops. Before fitting ensure that the horse's legs and the insides of the boots are clean and free from stones or dirt. Position the boot above the fetlock joint, close the hook and hoop fasteners. 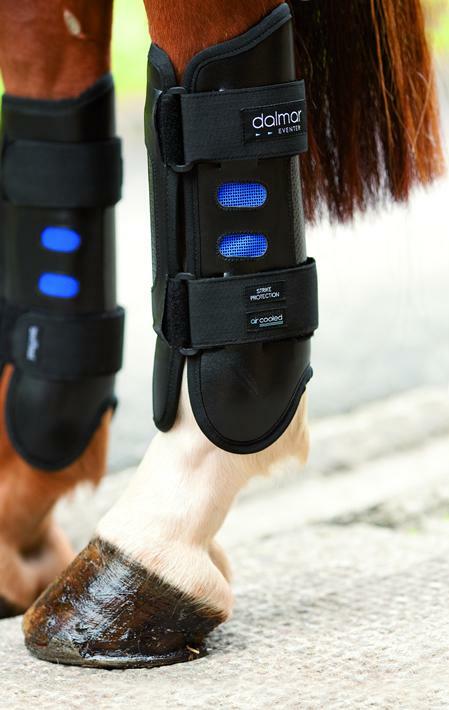 Slide the boot downward until it meets its correct position on the fetlock joint. The protective sides of the boots should correspond to the inside of the joint where the protection is needed. The fasteners wraps anti-clockwise around the left side leg and clockwise around the right leg, like traditional bandages. When applied correctly the brand labels should be facing forward. When applied correctly, the brand labels should be facing outward. The flexible flap to protect the front of the joint should be positioned at the front of the fetlock joint. Also if fitted correctly the top front of the boot should not interfere with the front of the hock joint at maximum hock flexion. When applied correctly the boots should not be free to slide up or down or rotate around the leg during use. 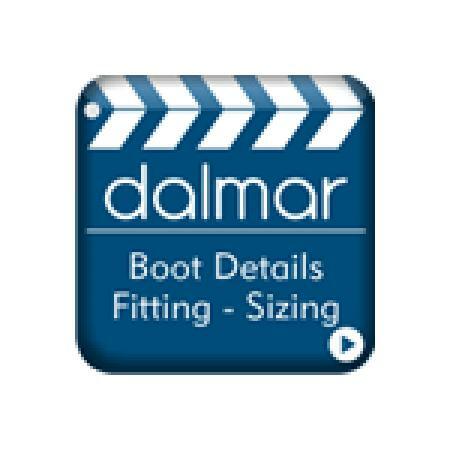 If the boot appears loose reapply it putting greater tension on the fastener. 5 stars Awesome product, great technology! Fits on the horse really well, love the dalmar boots. Great service from Equestrian Haus, fast postage and great to have a seller that post internationally. 5 stars 5* best boot on the market and really quick service would highly recommend! 3 stars Used this item in a cross country clinic the day we got them. We have the front boots and love them. These are a little long and not as adjustable as others we have tried. Once thefabric touches, you cannot tighten any more. So you really have to know your fit. We had fitted someone elses before we bought which I highly suggest. Even then, I think they are a bit big for our horse as they slid down when the leg hit a bank coming out of the water.